Where has the time gone? It seems like just yesterday that we were saying good bye to our seasonal staff for another year. Within just a couple of weeks, they will be back on the farm to start the 2016 season. Our employee numbers will almost double over the next few weeks, and the farm will become busier, bustling with energy as the crops begin to grow. 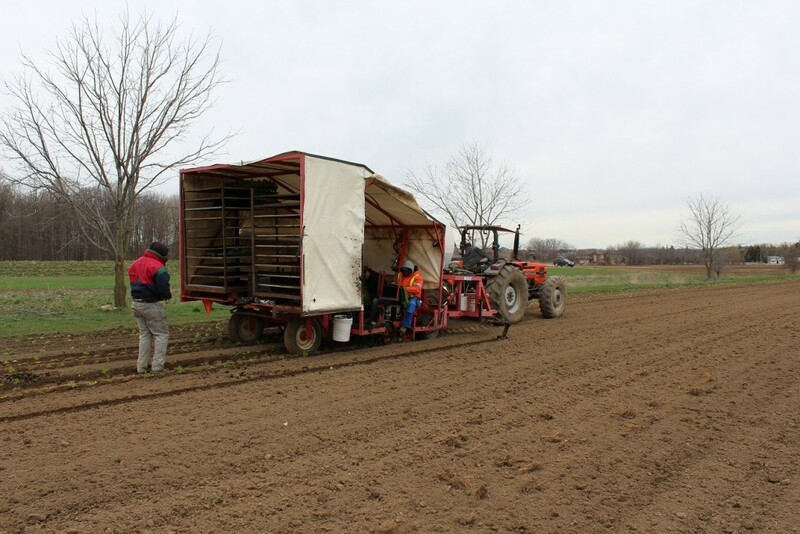 The arrival of workers signifies more than just the start of the growing season. It means that summer is almost here – BBQ’s, sitting on a beach, swimming in the pool, and more Pfenning’s local product! 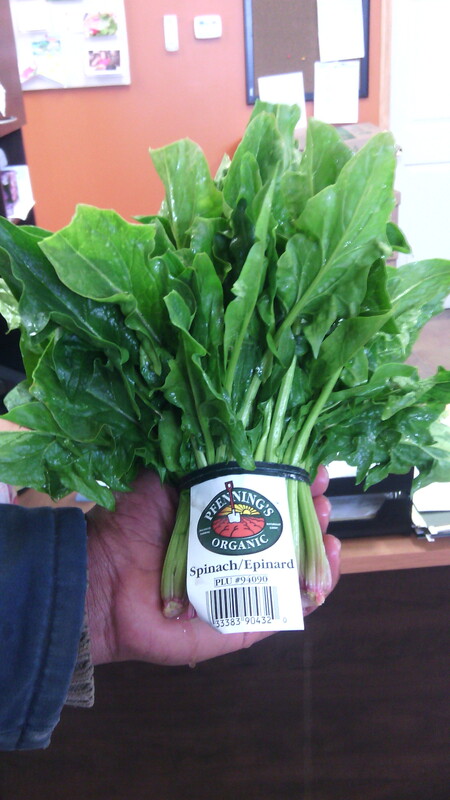 First overwintered Pfenning spinach of 2016! There is nothing more exciting at the farm than when our own Pfenning product is grown, packed and distributed to our wonderful customers. The excitement typically builds around late May, anticipating that first time Wolfgang will present the first fully grown product from our fields. A crowd gathers around, in awe of the beautiful produce Wolfgang has in his hands. Secretly the employees viewing this product are anxious to see who Wolfgang will hand the item to, so that they can take it home with them. It is another reminder that the new season is upon us. 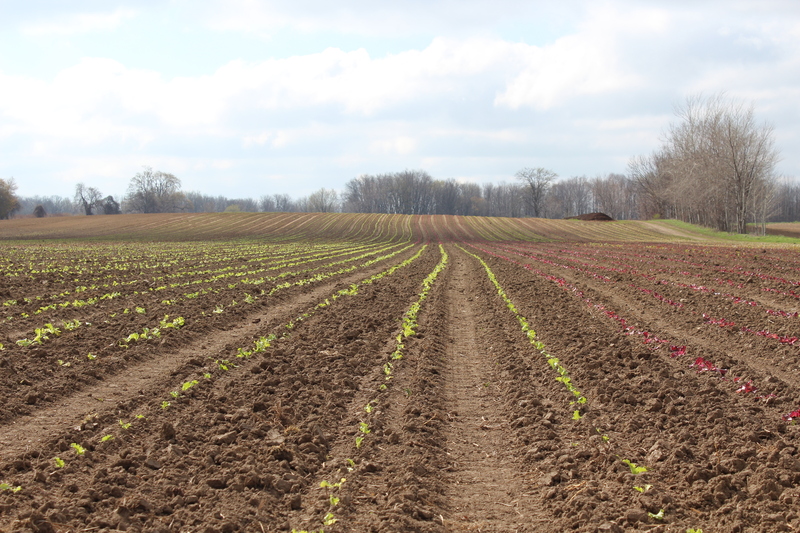 The fields are currently being prepared for the season, seeds have been planted and some crops have even begun to grow. In fact there is some product that has survived the winter and is able to be harvested! Lacking some colour right now, those same fields in just a few weeks will be bright and vibrant. Ever wondered how long it takes for something in the fields to grow? What that product looks like as it grows? When it is mature for harvesting? Well now you can find out! Pfenning’s will take you “To The Fields” over the next month or so, showing you growth of product from seed to maturity. We will use Twitter and Facebook to show fields and product each week so that you can witness the progression the product makes. Stay tuned to watch our vegetables grow! 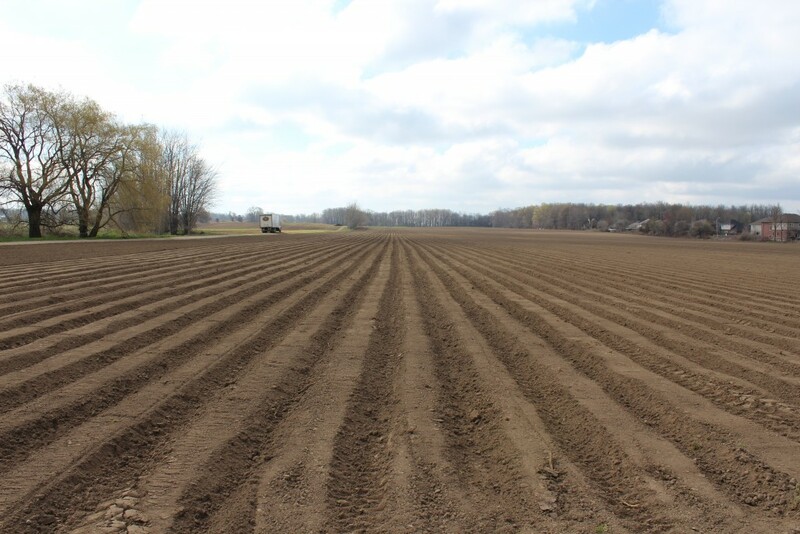 A carrot field – hills created, now it’s ready to be seeded.